Making hollow beads is easier than you think! Barbara Becker Simon will demonstrate how to make basic hollows, use a puffy mandrel to blow a bead, and create both hollow and solid beads with a silver clay core. You get a flameworking webinar and instruction in creating with silver metal clay, all in one! You'll also see how to apply enamels for accent and decorate with stringers. 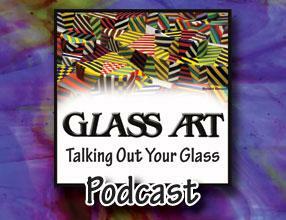 Barbara uses COE 104 glass, ("soft glass") at a torch to create her distinctive flameworked beads. A well known author and instructor, Barbara is back with us again by popular demand. Don't let this great opportunity pass you by! **Within a week after the Webinar, everyone who purchases the class will receive an e-mail with the link to a recorded version of the Webinar. You will have unlimited viewing of the recording AND your link never expires!